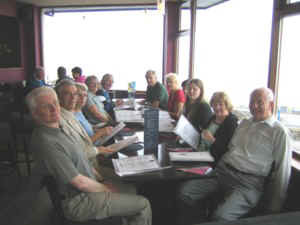 The first outing of the Walking Group took place on 7 April 2006 with a stroll from St John's to Shaws Bridge and from there along the Lagan towpath to Cutters Wharf for welcome soup and sandwiches. Since then there have been various outings along various sections of the towpath in either direction and through Belvoir Forest each time ending with refreshments. 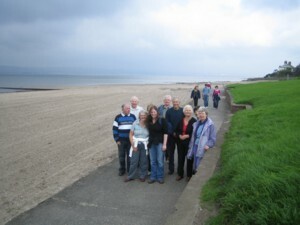 We then looked farther afield, travelling by train to Seahill station and walking back along the Coastal Path to Holywood for lunch at the "Dirty Duck", returning from Holywood by train.